HUDSON VALLEY, NY – The Access: Supports for Living Foundation Inc. will honor Dr. Lisa Dixon and Mike Oates at its annual gala and Vision of Hope Awards on November 16, 2019. The Vision of Hope Award is given each year to individuals or organizations whose work exemplifies and forwards the mission of Access: Supports for Living – to help people live the healthiest and fullest lives possible. 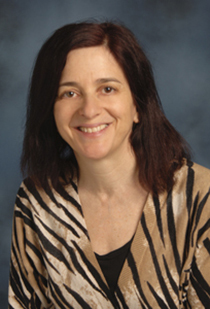 Dr. Lisa Dixon is the Edna L. Edison Professor of Psychiatry at the Columbia University Medical Center where she directs the Division of Behavioral Health Services and Policy Research and the Center for Practice Innovations (CPI) at the New York State Psychiatric Institute. She leads OnTrackNY, an innovative, evidence-based practice to intervene at the first episode of serious mental illness in young adults 16 to 30 years old. OnTrackNY is based on the premise that, with intensive, early interventions, recovery is not only the hope, but the expectation. Access is proud to be one of only two providers of this treatment in the Hudson Valley. 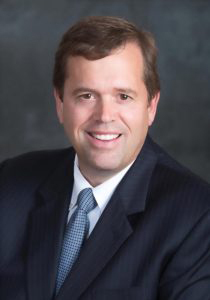 Also receiving the Vision of Hope Award that evening is Mike Oates, President and CEO of Hudson Valley Economic Development Corporation (HVEDC), which recently announced its intent to merge with the Westchester County Association. HVEDC is the Hudson Valley’s leading economic development organization and serves as a comprehensive resource for businesses relocating to or expanding within the region. The organization also works to attract well-paying jobs and connect people with disabilities to job opportunities. Mr. Oates has not only shown a steadfast commitment to promote employment for people with disabilities, but is prioritizing the creation of these employment opportunities as a vital part of the Hudson Valley’s economic development strategy. “Though their work is worlds apart, their goals are aligned in creating boundless possibilities for people with complex needs,” said Amy Anderson-Winchell, President of Access: Supports for Living. “Mike Oates has been an integral part of creating connections throughout the Hudson Valley that promote employment for people with disabilities. Dr. Dixon’s research and work has made an immeasurable impact by giving young people experiencing mental illness what we all hope for – a future with boundless potential. “This year’s gala will be a wonderful celebration of how a greater impact is created when the work of one amazing leader builds upon another,” said Ron Colavito, Chief Executive Officer of Access: Supports for Living. Ron Colavito Appointed CEO of Access: Supports for Living Inc.